Place the plant in a spot where it can receive at least 6 hours of bright, indirect light each day. Avoid full sun—they’ll burn. 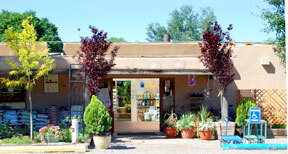 Give plants average room temperatures during the day and cool temps at night. Keep them away from heating vents and radiators. Water the azalea every day without fail. Drought will cause leaf wilt, yellowing and bud drop. Mist plants daily (it’s a great time to soak up their beauty). Prune out any weak, brittle, or dying branches. Treat plants with insecticidal soap at first sign of whiteflies, aphids, or spider mites. Do not fertilize the plant while it is blooming. When the blooming season ends, begin fertilizing once every 3 to 4 weeks, using a high nitrogen, acid-loving, water soluble plant food (such as Miracid™) at one-third the strength recommended on the label. 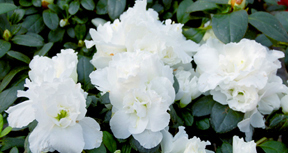 If the azalea becomes rootbound, repot it one or two sizes up from the present container, using a well-drained potting soil formulated for acid-loving plants (available at our Garden Centers).